Business description - Lex Nimble Solutions is engaged in the business of appraisal advisory, certification, training and related services on quality models, IT product and development and services, the major revenue streams being IT application, development, maintenance and support, corporate training and consulting. The company plans to explore new opportunities in the field of ISO certification and CMMI consulting. Lex Nimble Solutions is a subsidiary of Lex Nimble Solutions Inc., USA that holds 97.81% stake in the company. Mr Praveen Chakravarthy Medikundam is the other promoter. 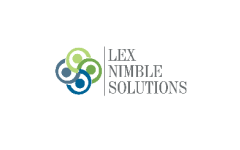 Lex Nimble Solutions IPO allotment status is now available on Bigshare Services' website. Click on this link to get allotment status.